Located along the Pacific coastline, Santa Cruz County forms the northern coast of Monterey Bay, 65 miles south of San Francisco. A combination of pristine beaches, redwood forests and farmland, Santa Cruz County embodies a natural beauty and residents enjoy an outdoor lifestyle with moderate Mediterranean temperatures. 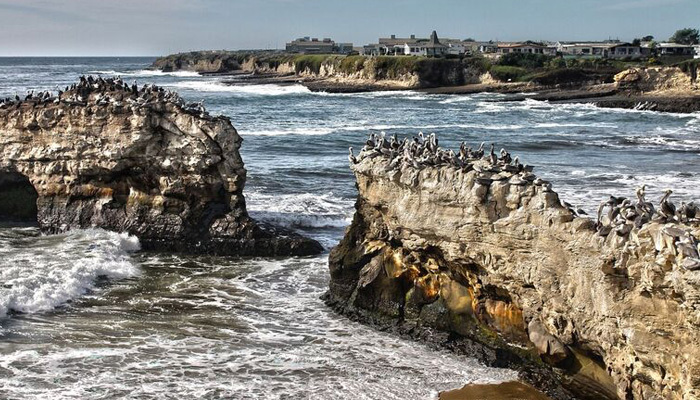 Home to the University of California, Santa Cruz, the Long Marine Laboratory, the National Marine Fisheries Service and the Lick Observatory, Santa Cruz County residents enjoy a strong local economy rooted in education, technology, tourism and agriculture. With a multitude of parks and beaches it’s one of the few places in the world where you can hike through redwood forests and down to the beach. Capitola and Santa Cruz are quintessential beach towns while inland towns like Watsonville, San Lorenzo Valley and Soquel offer historic downtowns set in the midst of stunning redwood trees.